To learn more, please fill out and submit the contact form below. If you prefer, call our office at (888) 210-6704 and our patient care staff will be happy to assist you. When you’ve decided to schedule your cosmetic surgery procedure, finding an excellent surgeon close to your home is essential. Board certified Houston plastic surgeon Dr. Bob Basu has offices in three different locations throughout the greater Houston area to give patients the option to have both. Click on a link below to read more about the Basu Aesthetics + Plastic Surgery office nearest to you. Click here for directions to our Houston office. 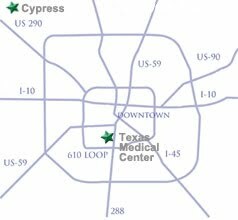 Click here for directions to our Cypress office.